« Creative Spaces Reception and Party! 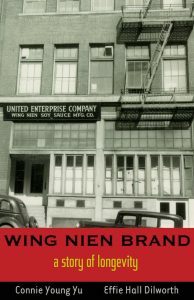 The Chinese Historical Society of America Museum is proud to announce the publication of Wing Nien Brand: A Story of Longevity, a new book by Connie Young Yu and Effie Hall Dilworth about the famed food products company. Wing Nien Soy Bean Company, founded during WWII, was the first manufacturer of soy sauce in the U.S. Our story narrates the early years of the company’s founders, George Hall and John C. Young, how they realized their dreams of success, participated in Chinatown’s growth, and paved the way for the 21st century company, Wing Nien Foods. Authors Connie Young Yu and Effie Hall Dilworth, daughters of John Young and George Hall, drew from family archives, oral history and personal experiences in writing this booklet. Effie Hall Dilworth graduated from U.C. Berkeley in English literature. She worked for the university for 30 years with the campus’s natural history collections as a computer programmer and the administrator of a database system. She has been a piano student much of her life. She is the mother of two boys and has three grandchildren, all of whom live in the Bay Area. 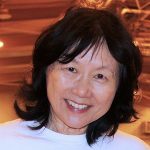 Connie Young Yu, author of Chinatown, San Jose, USA and Patchwork History: The People’s Bicentennial Quilt, has long been involved in historical projects and social activism. Yu’s writings have appeared in historical journals and literary anthologies. She wrote the videos accompanying exhibits, “Dr. Sun At Liberty’s Door” for CHSA and “On Common Ground”, for the Japanese American Museum of San Jose. 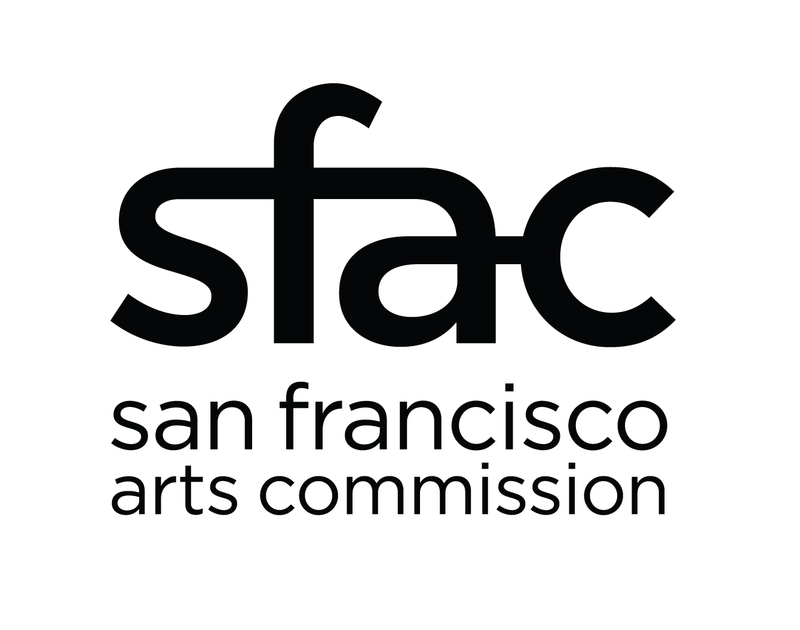 In 1974 she was one of the organizers of the Angel Island Immigration Station Historical Advisory Committee (AIISHAC) that saved the immigration barracks as a historic site. In 1973 she was one of the “Original 12” who founded Asian Americans for Community Involvement of Santa Clara Valley. Connie studied literature at Mills College but her deep interest in Chinese American history came naturally, hearing stories from her parents about her pioneer ancestors. She is a 3rd generation Californian. Her maternal great-grandfather worked on the Transcontinental Railroad, and her paternal grandfather had a general store in San Jose’s Chinatown where her father was born. Connie was a historical consultant on the archaeological excavation of two San Jose Chinatown sites. She is currently writing a book, Digging to Common Ground, on the excavation of the Chinatown that became the Japantown of San Jose. She is a participant in the Chinese Railroad Workers in North America Project at Stanford University. 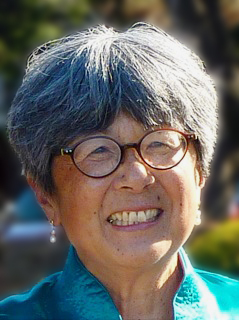 Connie Young Yu is the current President of Hakone Foundation in Saratoga. She is the historical advisor to the Chinese Historical and Cultural Project. (CHCP) and a CHSA emeritus board member. Connie continues to serve as a key content advisor on CHSA programs, exhibits and publications.